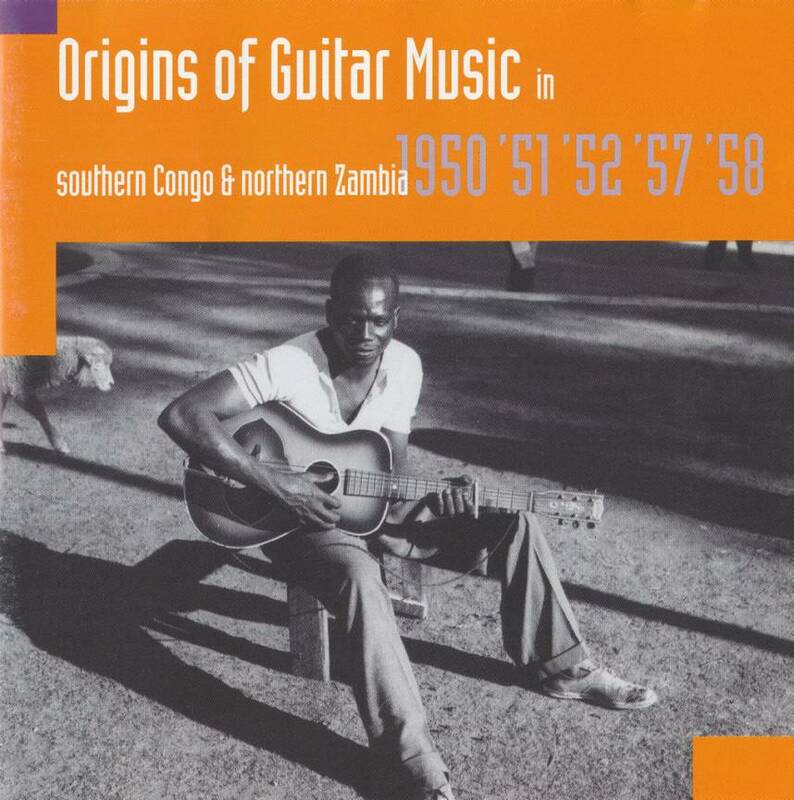 In the new urban culture that invented itself during the fifties in the copper mining towns of Katanga Province in southern Congo and on the Copperbelt in northern Zambia, the guitar became an important status symbol and quickly local styles developed. This also happened in the big southern African railway connection of Bulawayo in Zimbabwe. This collection of recordings is an exciting document, the emergence of a new sound – including some famous names such as Mwenda Jean Bosco and George Sibanda, but also others like the wandering Copperbelt minstrel Stephen 'Tsotsi' Kasumali, the swing Zambian harmony of the Four Pals, and the raw rumba from up north in Kisangani, plus a couple of tracks from Malawi testifying further the speedy spread of the guitar in central southern Africa at this time. Total time: 72'05". 24 page booklet. Tracklist: 1. Mama Josephina, 2. Masengu, 3. Muleka Mwene Yombwe, 4. Muleka Mwene Ngoie, 5. Ematambo Waifwe Bantu, 6. Banakatekwe, 7. Mayo Wafwa, 8. Nifwe Ba Four Pals, 9. Maselino Yaya Yoyayu, 10. Bamgufya Ba Kwati, 11.Katikalepuke Katikatobeke, 12. Chilomendo Chakumena, 13. Nashe Nsapato, 14. Amatsotsi Mama Amaononge Chalo, 15. Akazi, 16. Elube, 17. Gwabi Gwabi, 18. Dali Ngiyakuthanda Bati Ha-ha-ha, 19. Itaula Bava Yami, 20. Mama Na Mwana, 21. Nachelewa, 22. Safari Ya Baraka, 23. Colette, 24. Beni. Afropop 2001 (USA): "These recordings offer us a chance to consider the great mixing pot of Central and Southern African pop before the ingredients were really stirred together. Once you've considered these recordings carefully, pop music from this part of Africa will never sound quite the same." Sing Out 2001 (USA): "The guitarists are not all virtuoso's, but they have an easy command of complex dance rhythms that would confuse most players anywhere else. Any serious guitarist simply has to hear this music."